One of Little Rock’s most important bar figures is coming back to town for a special one-night event. Lee Edwards of spirits importer Haus Alpenz will hold a pop-up event at the new Proof Bar + Lounge in Hillcrest on Tuesday, April 3. Edwards will be mixing special cocktails using spirits from the Haus Alpenz portfolio, which includes Hayman’s gin, Dolin vermouth, Cappelletti Aperitivo and Sfumato. The event is only scheduled to last from 4 p.m. until 7 p.m., so don’t wait until after dinner to stop by. Edwards formerly served as bar manager for Ferneau, The Capital Hotel and Yellow Rocket Concepts. He is credited with helping kick-start and shape Little Rock’s excellent cocktail scene. As reported this weekend, Jack and Corri Sundell of The Root Café are starting a second restaurant in SoMa. 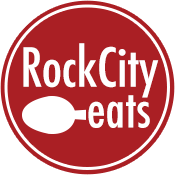 Doc Rocas Beer and Tacos will be located at 1220 South Main St., in the former Piano Craft location. The restaurant will pay homage to a number of Latin American cooking styles, including Honduran, Paraguayan and Venezuelan. In a nod to The Root’s heritage, Dos Rocas will serve casual “street” food in a relaxed atmosphere. And of course, the Sundells aren’t opening a restaurant without heavily sourcing their produce and meat from Arkansas. We will keep you posted on Dos Rocas’ progress, including when an opening day is announced; the website is already up and running. 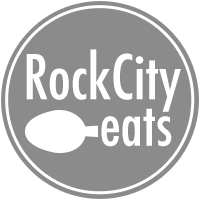 The favorite barbecue event of Rock City Eats is coming back next month. B Street Rib Off will be held Saturday, April 21, at Riverfront Park in North Little Rock. B Street Rib Off is an annual barbecue competition featuring amateur teams from Arkansas and all over the Mid-South region. This is the tenth anniversary of the event, and just like in the first year, all proceeds from B Street Rib Off will be donated to the American Cancer Society of Central Arkansas. Registration is still open if you and your buddies want to compete. In a really cool story, Izard Chocolate is helping promote the history of Little Rock sweets in a unique way. The chocolate shop is selling a limited number of copies of The Sweet Side of Little Rock, a book written by Del Schmand in 1998. The authors father was William Schmand, who was one of the first candy makers in Little Rock in the 1920s. Del Schmand’s daughter Josephine stopped into Izard Chocolate and introduced herself, and owner Nathaniel Izard asked her to autograph the remaining copies of The Sweet Side of Little Rock. Those books are on sale now at Izard Chocolate, though there are fewer than a dozen left. Stop by today to pick up a copy. Delta Biscuit Company keeps getting warmed up in preparation for its food truck grand opening. Delta will be at Honey Pies on Thursday, April 5, for a special “Brinner” pop-up. That’s breakfast for dinner, if you didn’t know. Oh, and as if you needed incentive to get your tickets, I have it on good authority that one of the courses will feature some cooking from Dempsey Barbecue, all but making this event a must-go. Tickets are $50 and are on sale now. One last popup to talk about. Heritage Catering that we profiled a few months ago is off and running and they are holding a special dinner at their place to kick things off on April 14th. It is $50/person and BYOB. There are very few servers in town as instantly recognizable as Chris Goff at South on Main. We highlighted his work this week in our Service Star feature.